Bella Fontana was originally a 72" X 60" oil painting. It is only available as a print now in the sizes shown here. (Select "Wall Preview" below for a room type, size and wall color to better view the art). For HANDRETOUCHING on prints, contact Gordon Meggison gordonmeggison@att.net . This feature is available for any print 36" X 48" and under. 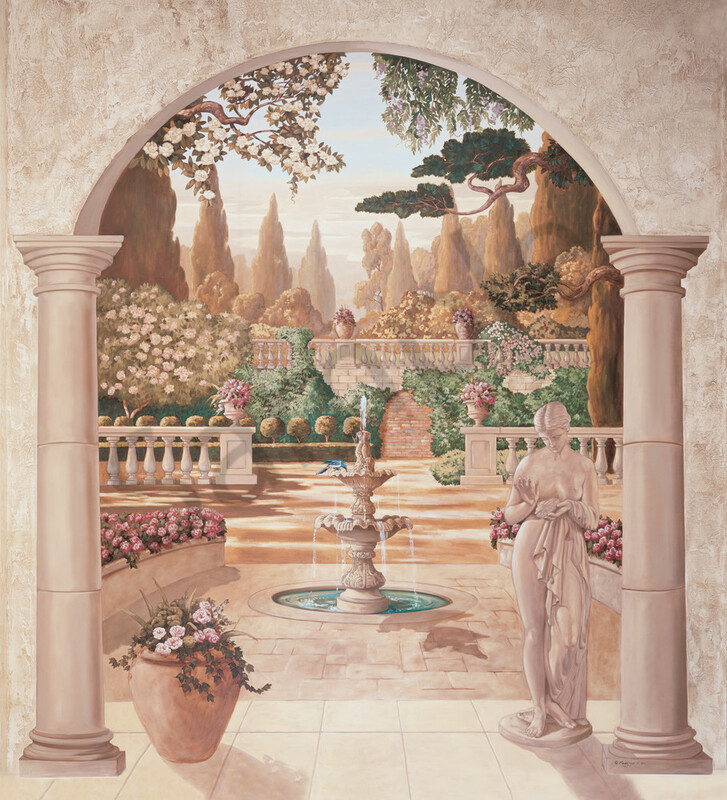 Bella Fontana was originally painted in oil directly on the wall. It is designed to recall the famous gardens of Italy. It is totally imagined and not from an actual place. It is only available as a print now in the sizes shown here. It is totally imagined and not from an actual place. (Select "Wall Preview" below for a room type, size and wall color to better view the art).